Repetitive text and beautiful illustrations help tell the classic tale of "e;Jack and the Beanstalk. "e; When Jack goes to the market to sell the family cow for money, he returns home instead with five magic beans. His mother is so angry she throws the beans out of the window. What happens the next morning when Jack discovers a giant beanstalk and climbs to the top to find a magical castl… e? 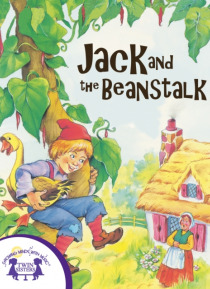 The adventure continues when Jack learns that the Giant living in the castle has a goose that can lay eggs of gold. A happy ending adds interest to this fairy tale and encourages a lifelong love for reading.